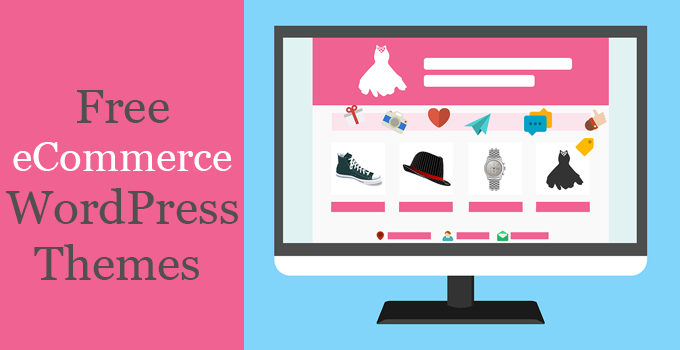 Consequently, given the enormous use of WordPress in eCommerce arena, many theme providers are offering both free and premium eCommerce themes to help shop owners make their online stores interesting and appealing to their potential customers. Since most of the premium eCommerce themes are quite expensive to purchase (usually between $80 and $199), we’ve researched and gathered some best free eCommerce WordPress themes that you can use to create your online store in 2018. Let’s check them out, one by one! 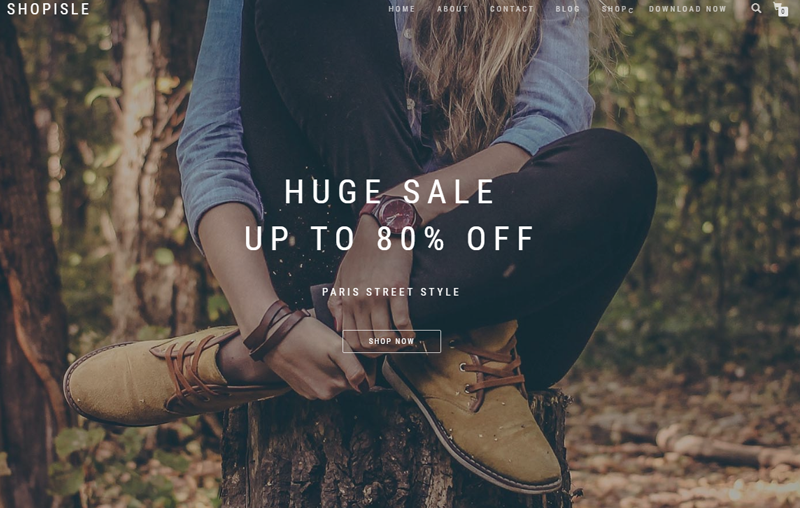 Leto, lovingly crafted by aThemes, is a very clean and lightweight WooCommerce compatible WordPress theme perfect for creating any kind of online shop. Packed with an extremely powerful Theme Customizer, this theme is 100% translation ready and also supports recent versions of all popular web browsers like Chrome, Firefox, and Opera. Moreover, to help you impress your customers, it also allows you to add an image or video in the header area. 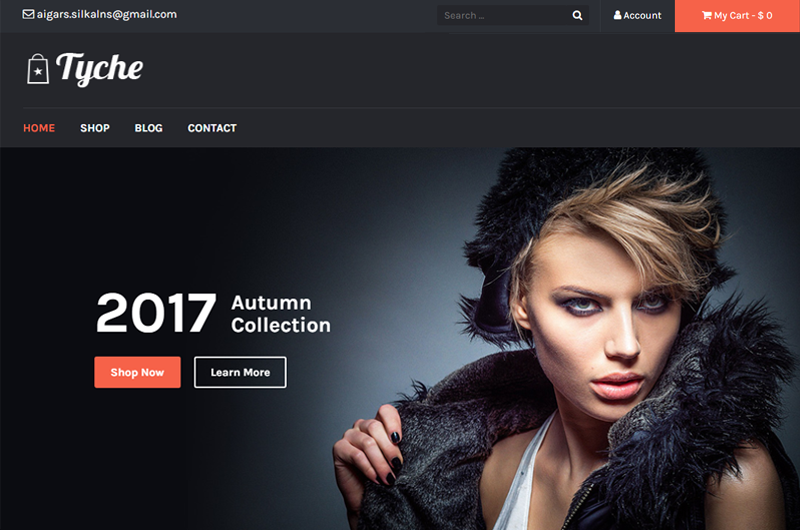 Built by ThemeIsle, ShopIsle is a modern, elegant and beautiful WordPress theme, featuring a smooth scrolling full-screen slider on the homepage to make the shopping experience pleasant and enjoyable for customers. With the integration of popular Contact Form 7 plug-in, it offers your customers the chance to easily get in touch with you via a quick and user-friendly contact form. There’s also a pre-built about us page offered, where you can flawlessly write who you are and what you love to do. 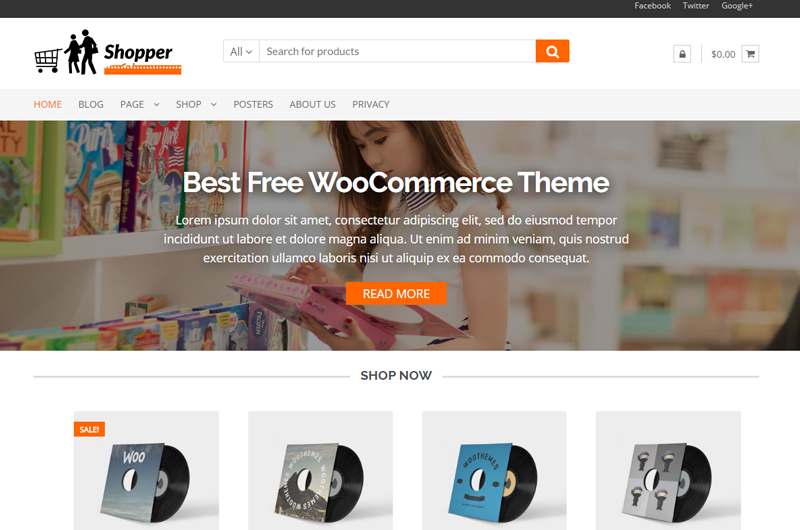 Shopper is a simple and lightweight WordPress eCommerce theme with a grid layout and minimal design. Compatible with all popular modern web browsers like Chrome, Firefox, Safari, and IE10+, this amazing theme comes with a powerful theme options panel and features Schema Structured Markup for better search engine optimization. A perfect choice for any kind of online shop whether it’s a cosmetics store, fashion store, sports store, or a multi-niche store. Coded by folks at Colorlib, Tyche is a neat, professional and minimal WordPress theme with plenty of powerful eCommerce features and functionalities. It has Google Maps, social media, and contact form integration, and offers a great blog page design to keep your customers coming back for latest news, offers, and shopping. Moreover, with the help of Custom CSS option, you can edit, customize or stylize any element of your online store to fit your design requirements. A perfect choice for a fashion and accessories store! 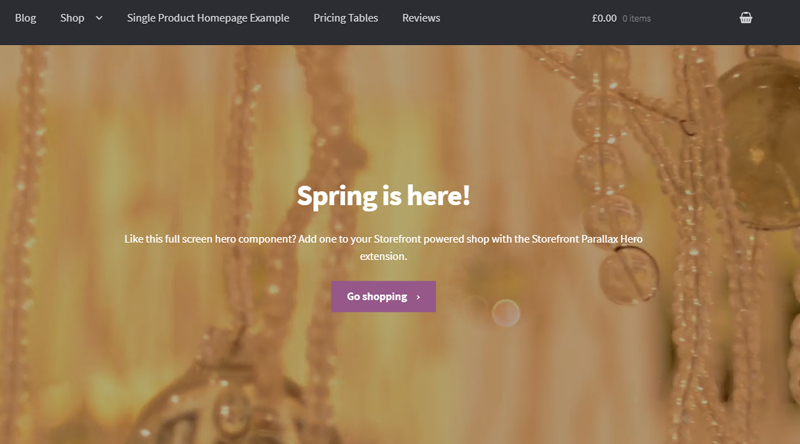 Storefront, developed by WooCommerce core developers, is a highly intuitive, flexible and customizable eCommerce theme featuring a very clean, lightweight and minimal design. 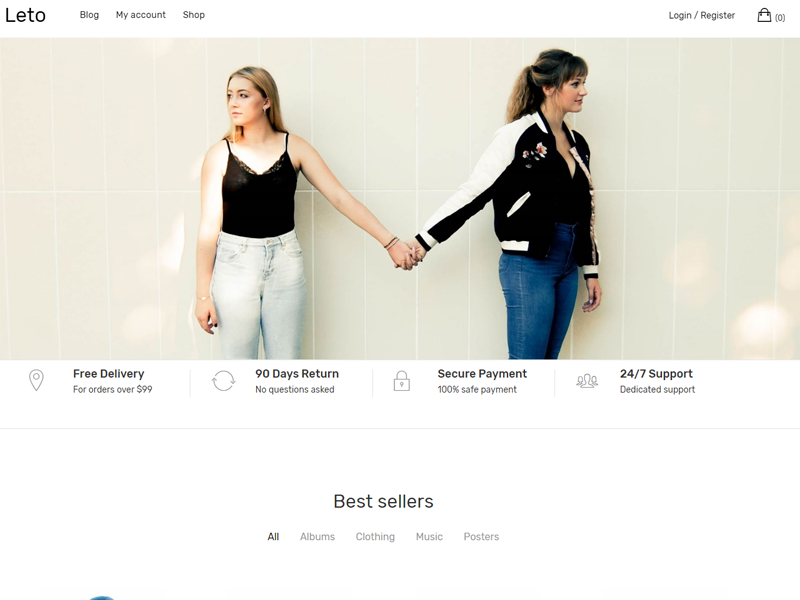 Built on the top of Automattic’s starter WordPress theme Underscores, Storefront offers a water-tight integration, not only with WooCommerce itself but also with its several extensions. It is fully compatible with several popular Page Builders, such as Beaver Builder and Visual Composer, and comes with valid schema markup for an outstanding SEO performance. 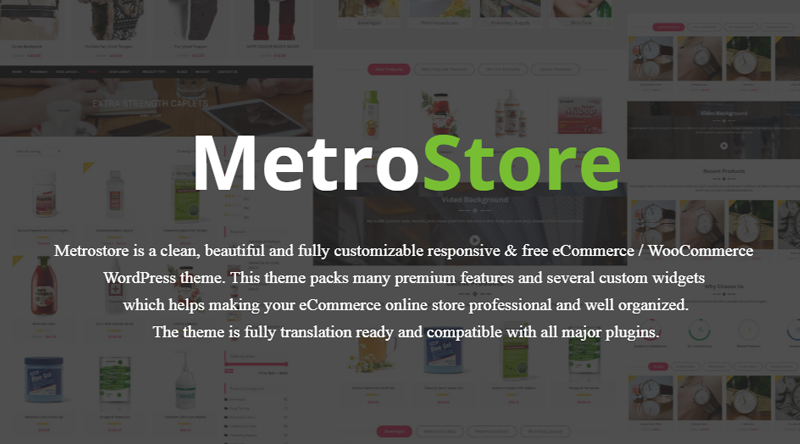 Created by sparklewpthemes, Metrostore is a clean, professional-looking and highly customizable eCommerce theme for WordPress platform. Not only this stunning theme is fully translation ready but also it guarantees full compatibility with all major WooCommerce plug-ins. Metrostore is packed with 10+ custom widgets, 8+ widget areas, a powerful Customizer, and is well-optimized to load in a snap. A great fit to create health stores, beauty stores, technology stores and sports stores. 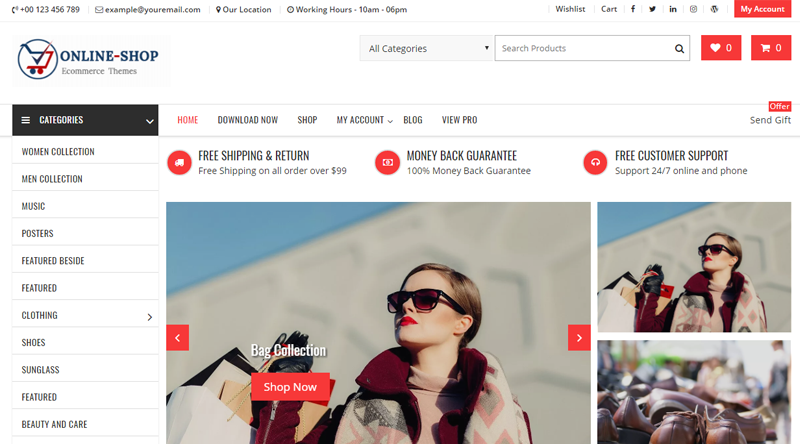 As the name itself suggests, Online Shop is an extremely powerful, fully customizable yet very easy to use WordPress eCommerce theme for both aspiring and professional online store owners. With 9+ custom widgets, unlimited colors options, a Live Customizer, and several other similar features, this spectacular theme offers you unlimited possibilities to make your online store as unique and beautiful as possible. In addition to eCommerce, this multi-purpose theme can also be used to create other types of the sites, including a blog or single page website. 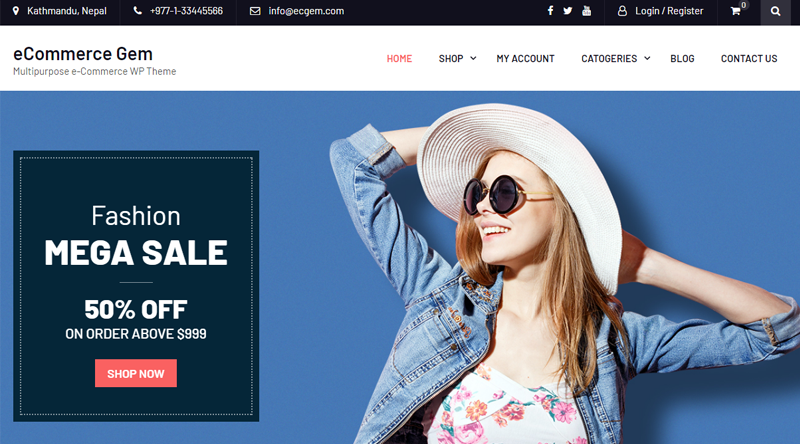 eCommerce Gem is an easy-to-use and customize multipurpose WordPress eCommerce theme suitable for the online store of any type, including jewelry, cosmetics, fashion, medical, mobile, and books. Built with all the latest SEO practices and standards in mind, the theme provides you high visibility in search engines – helping you always stay ahead of your competitors. Key features of the theme include featured and latest products carousel, a full-width easy-to-use slider with featured image, search within a category, built-in call to action buttons, and multiple drag-and-drop widgetized sections on the front page. 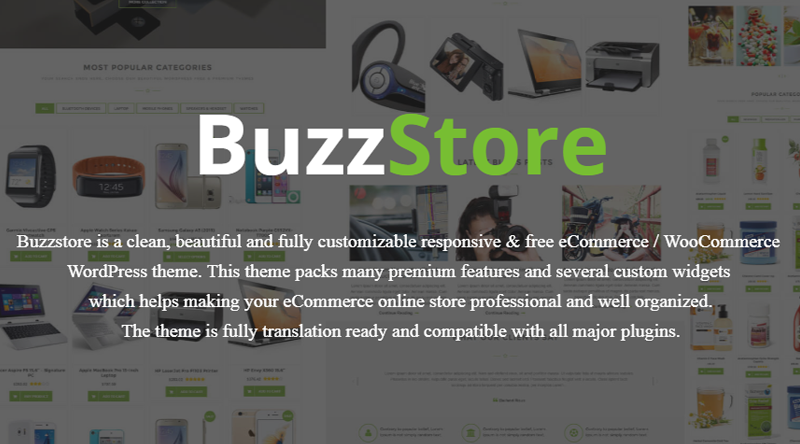 Buzzstore is a lightweight, sleek, and premium-looking WooCommerce WordPress theme packed with several unique features and custom widgets that make any online store professional, well-organized and customer-friendly. Having 4 different header layouts and 7+ inbuilt widget sections, the theme integrates smoothly with WooCommerce and is also fully compatible with other popular plug-ins like YITH WooCommerce Quick View and YITH WooCommerce Wishlist. This post is written by Team WordPressIntegration. If you’re looking for a custom eCommerce WordPress theme, feel free to reach us via our contact page.